The inspection, thorough examination, testing & maintenance of all lifting equipment must be carried out in accordance with the requirements of the Lifting Operations. All cranage operated is tested to the above standards. Each machine is serviced and maintained in accordance with manufacturers instructions at scheduled intervals by our service technicians. In addition to this all cranes are examined in situ by independent test & examination engineers, as defined by regulations, again at scheduled intervals. 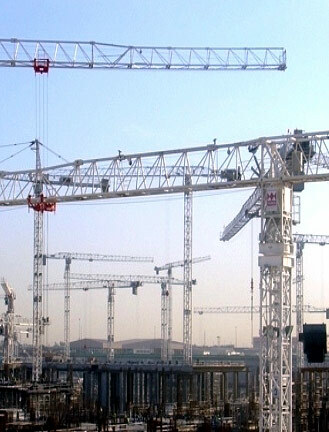 The Operator of the tower crane is also required to undertake a general inspection of the crane on a weekly basis, and a record of his findings logged with site management, any immediate remedial works to be notified to the Service Department.